Newmont's friendly bid to buy Goldcorp to create the world's biggest gold producer preceded the agreement with rival Barrick to establish a joint venture combining their operations in Nevada. 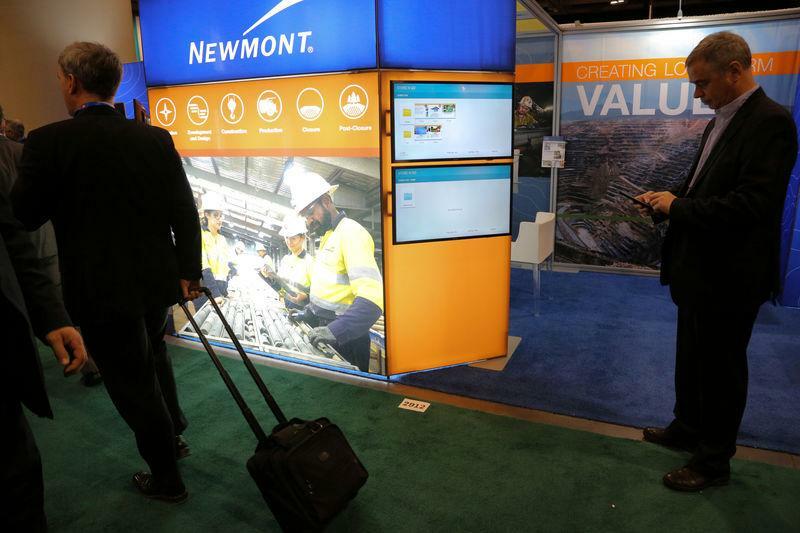 Newmont offered 0.328 of its shares and 2 cents for each Goldcorp share. Van Eck International Investors, which said last week that Newmont's takeover offer transferred to Goldcorp shareholders too much of $4.7 billion in synergies from the Barrick venture, also expressed its support for the deal on Monday. "We're very pleased with Newmont's decision," said Joe Foster, portfolio manager at Van Eck, Newmont's third-biggest shareholder. "Companies always claim they're going to create synergies. It's great to see Newmont putting their money where their mouth is and giving us a payout up front." "If one assumes this dividend payment of $469 million reflects the after-tax value of the JV that would have been previously shared with Goldcorp shareholders, it would appear to be fair," Josh Wolfson, managing director of metals and mining at Desjardins Securities, said by email. Goldcorp shares jumped as much as 3.7 percent and closed up 2.7 percent at C$14.9 on Monday in Toronto, erasing most of Friday's 2.9 percent loss. Newmont climbed 1.2 percent to $34.90, its highest close in a month in New York trading. "In the discussions I've had with a number of our large, long-term shareholders this morning, they're quite pleased with this outcome and are supportive of it," Newmont Chief Executive Gary Goldberg told Reuters on Monday.